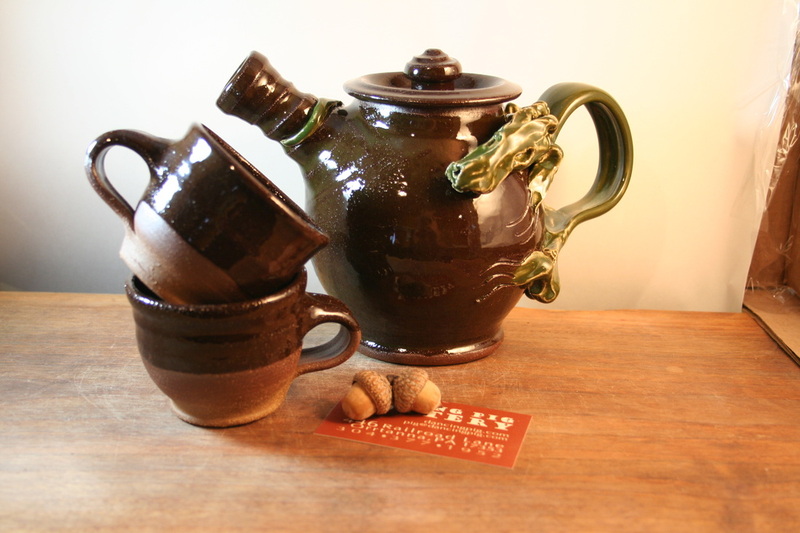 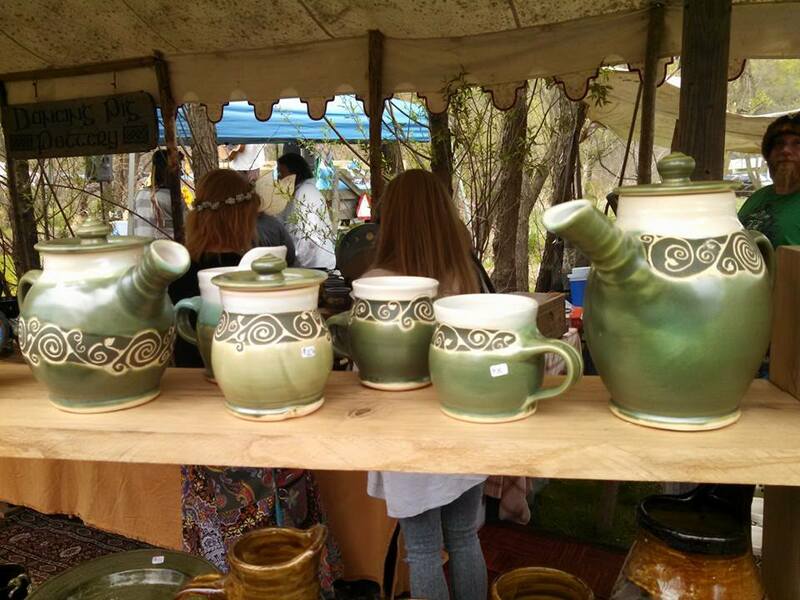 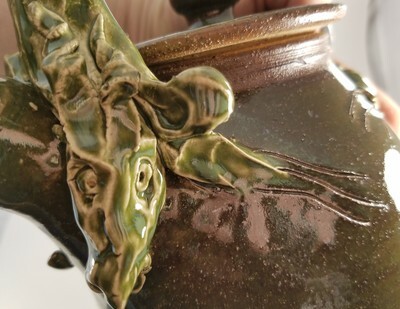 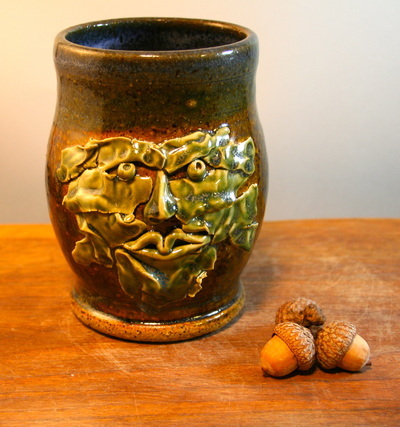 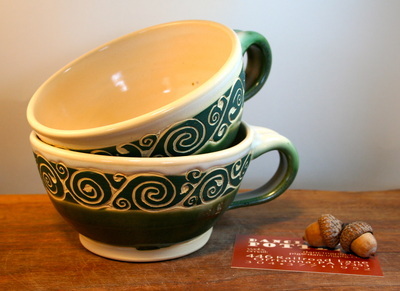 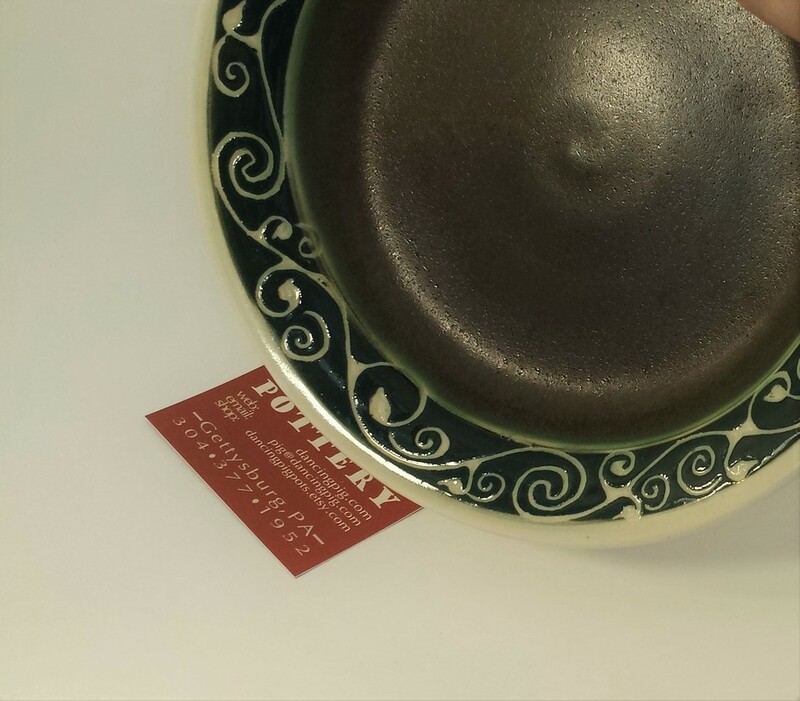 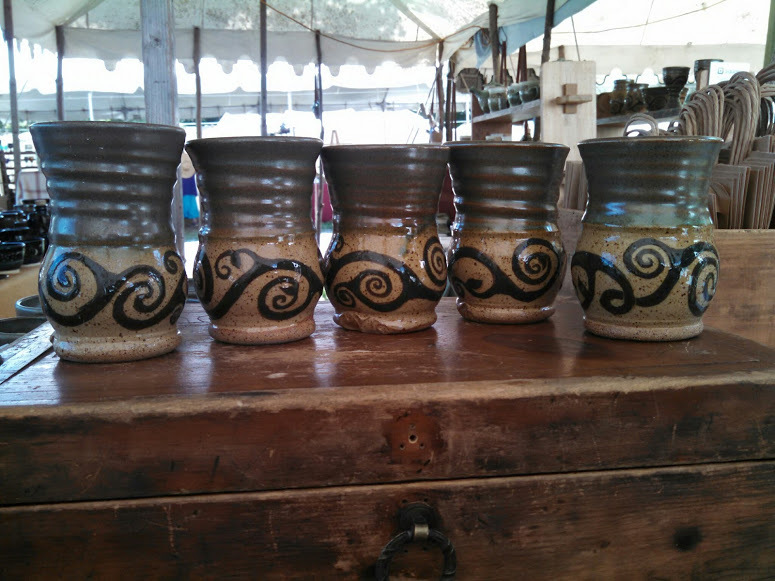 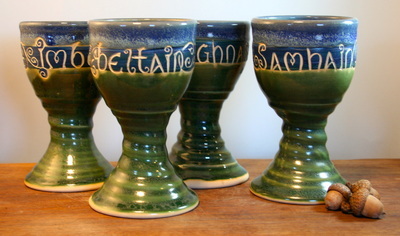 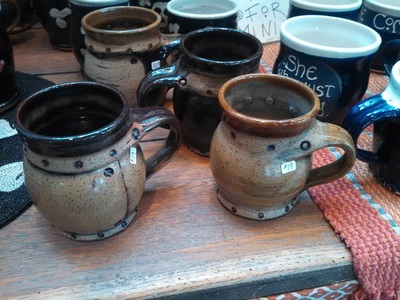 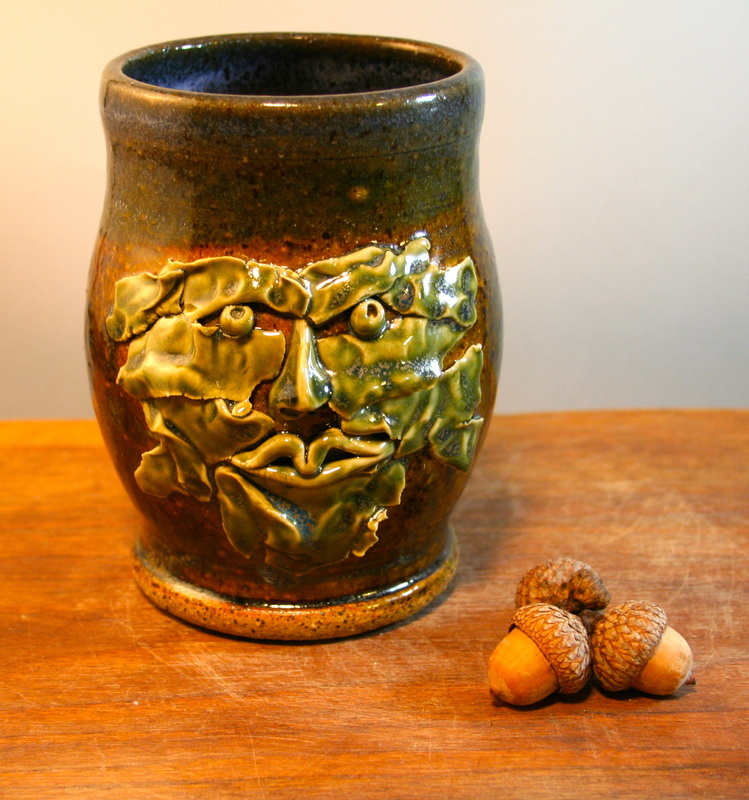 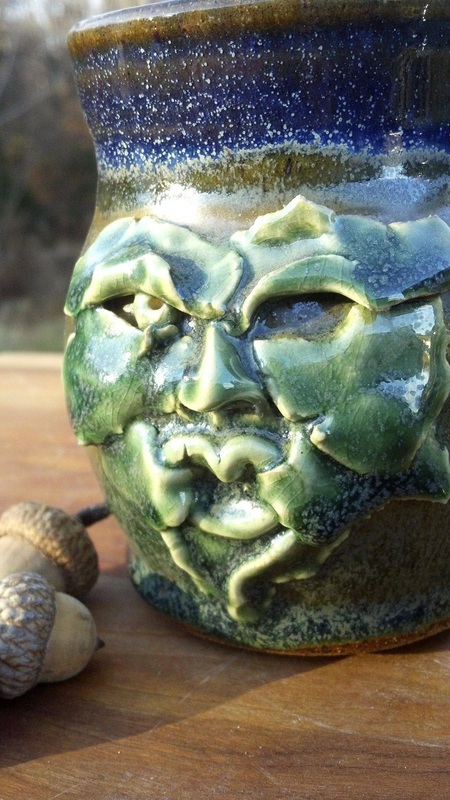 At Dancing Pig Pottery, our pots have been handmade by benignly crazy people since 1989. 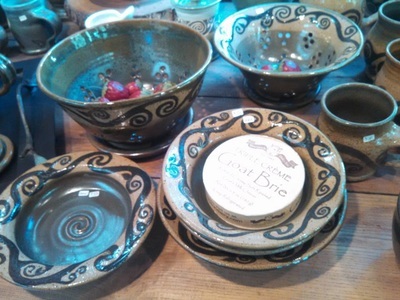 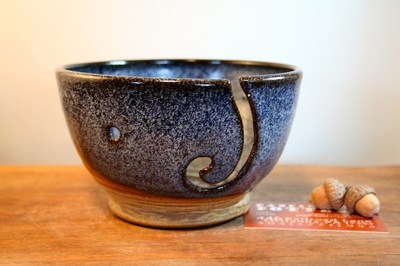 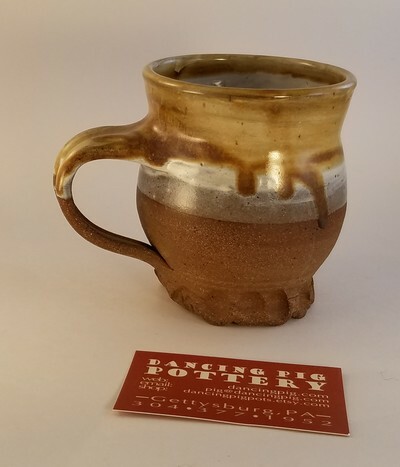 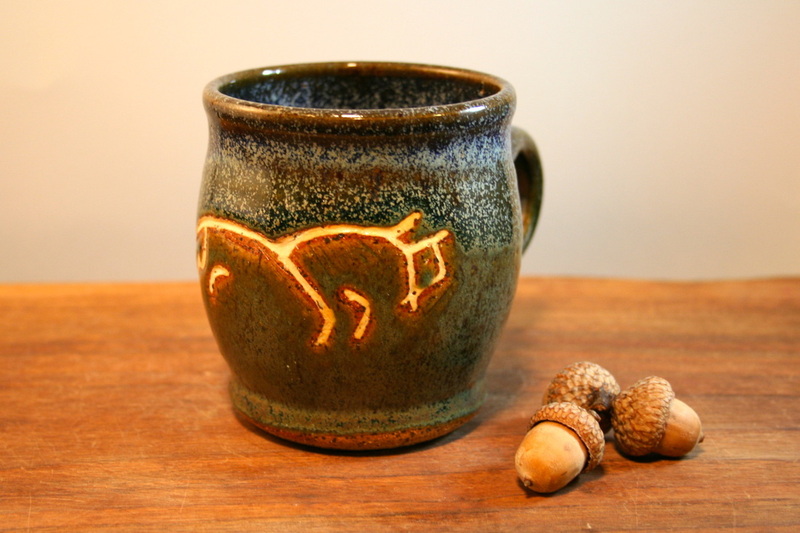 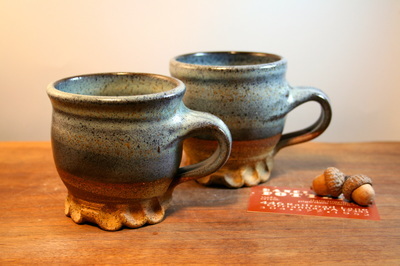 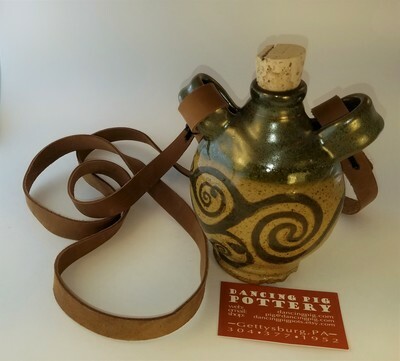 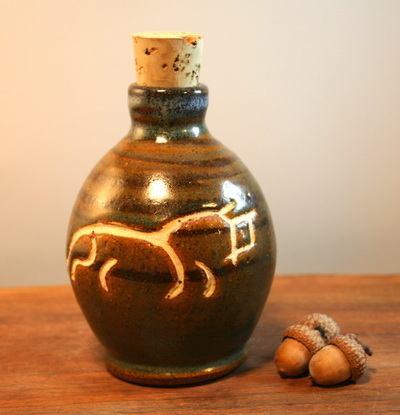 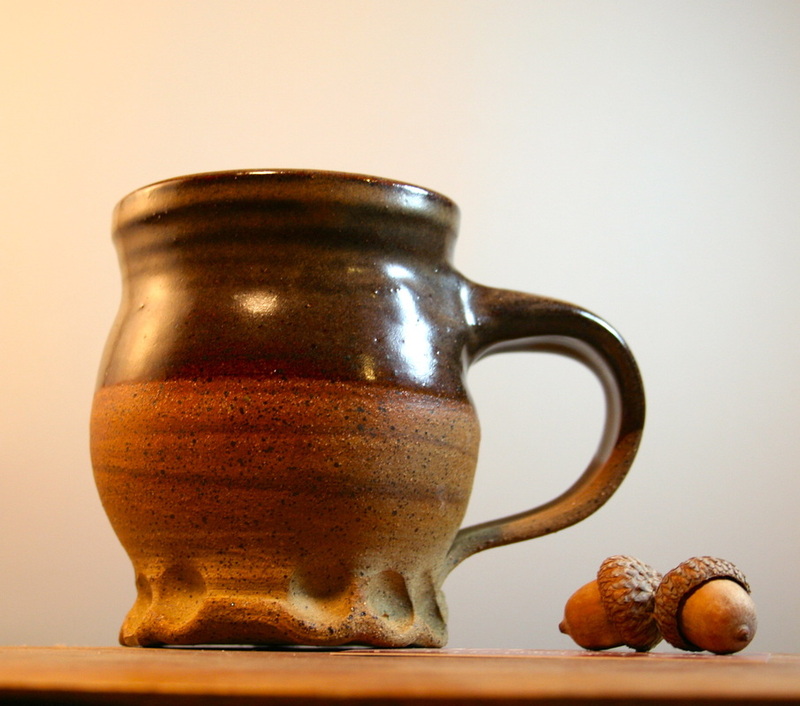 We've been at it full time since 1999, and since 2011 we've been making our pottery at our barn studio on the banks of the Little Marsh Creek just outside of Gettysburg Pennsylvania. 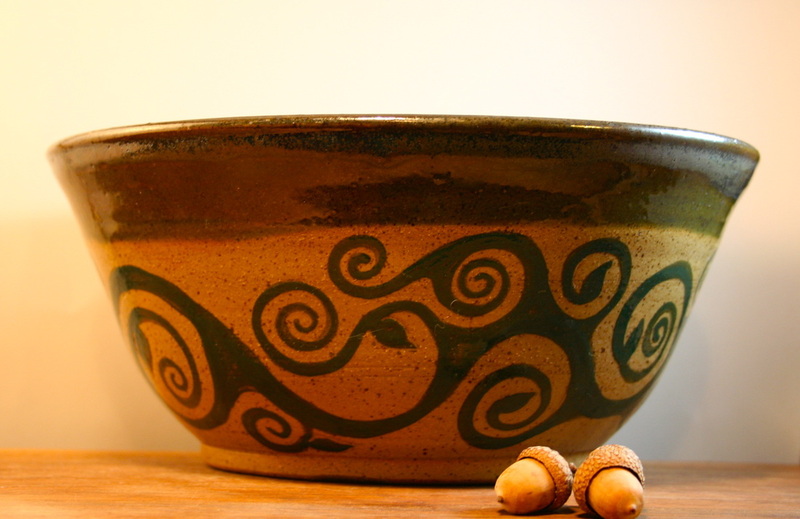 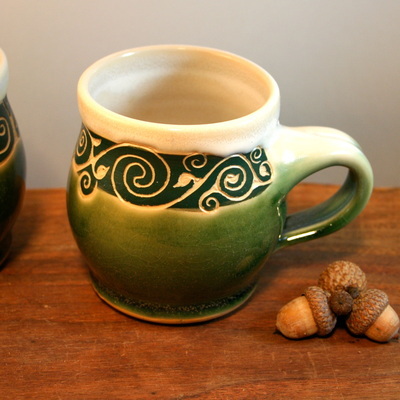 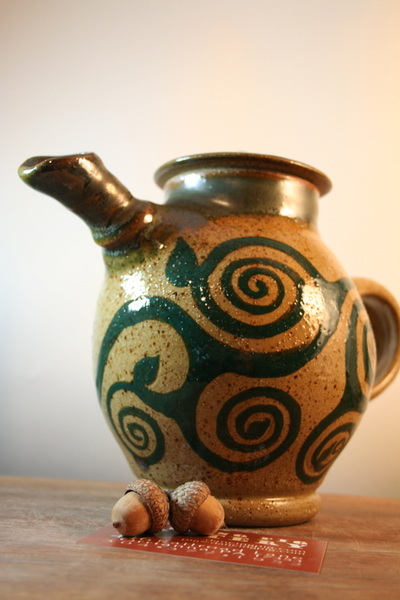 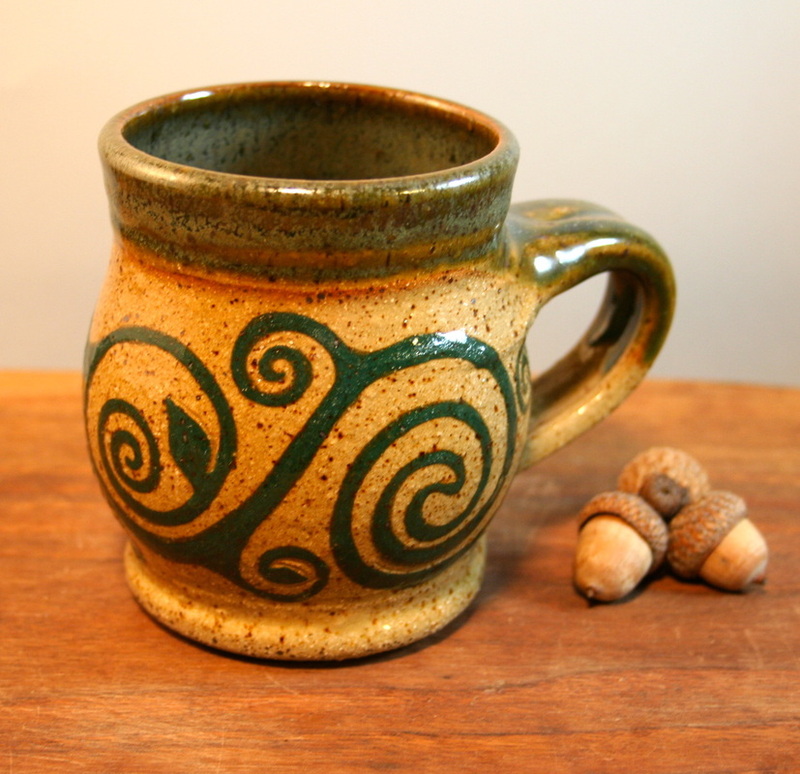 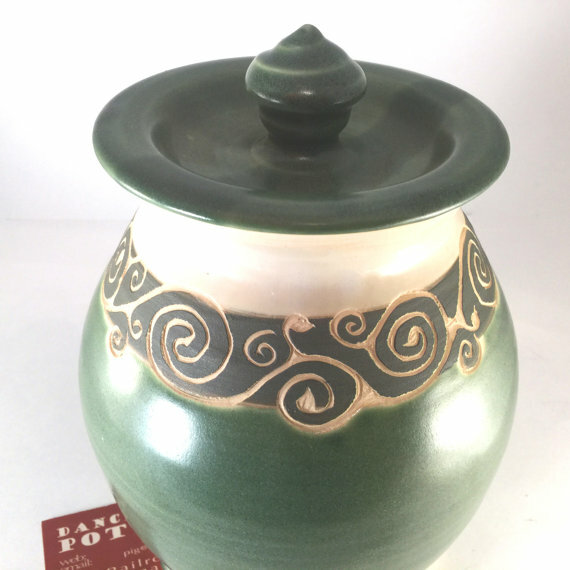 ​ Every one of our pots are made one at a time on the potters wheel and then hand decorated with designs inspired by Celtic art and the natural world. 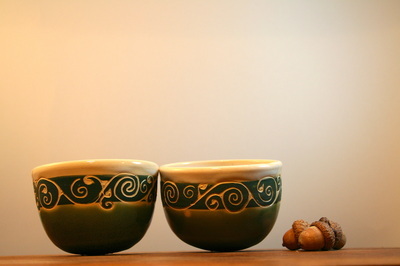 They are distinct individuals, each with their own personality, but obviously coming from the same family. 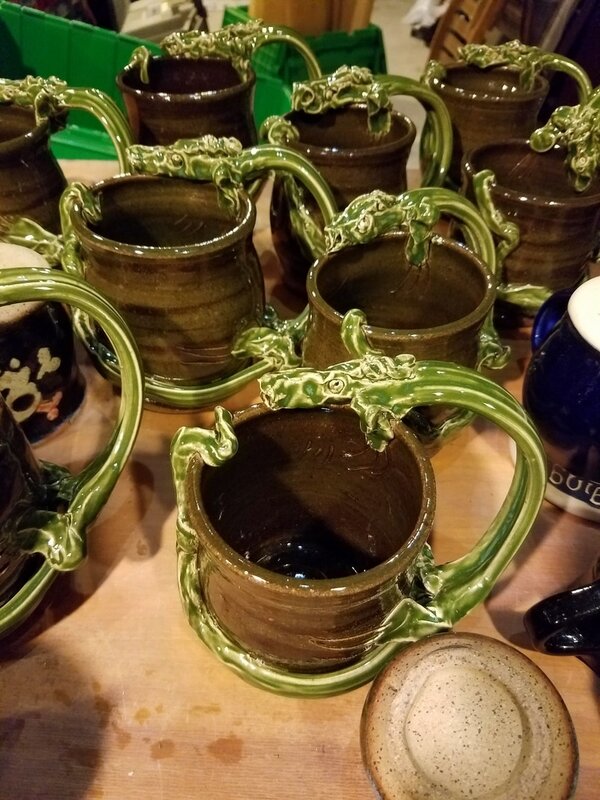 We fill our pots with passion and integrity. It is our intention that our pots fill our customer's daily lives with subtle but powerful reminders of the natural beauty that surrounds them. 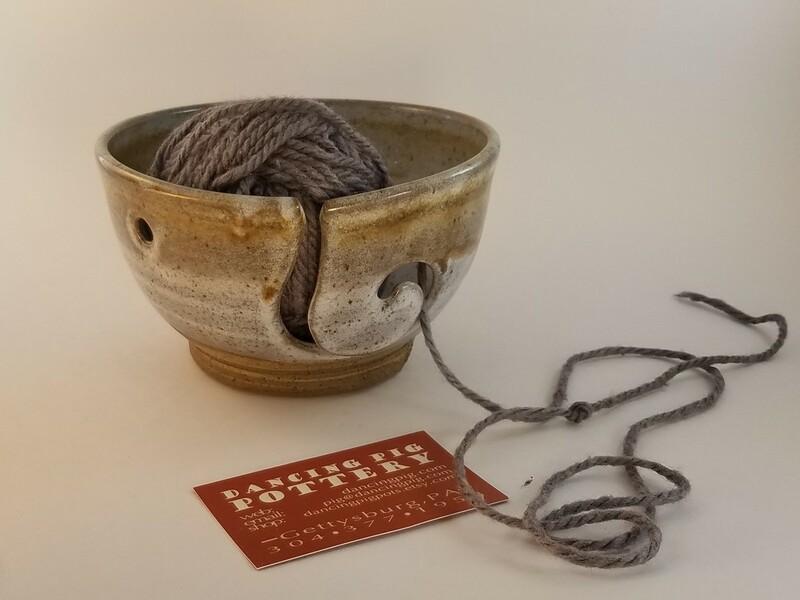 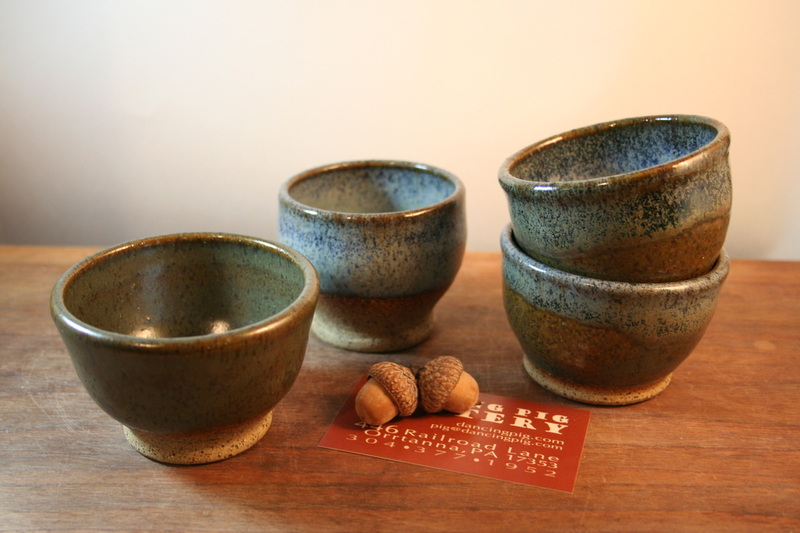 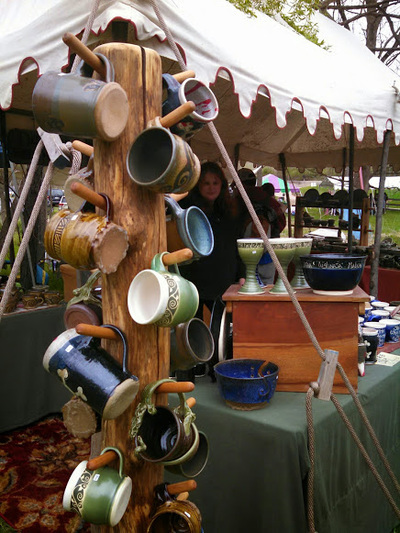 We make our wares from sturdy medium range stoneware clay, which enhances our pots functionality and allows them to withstand the rigors of daily use. 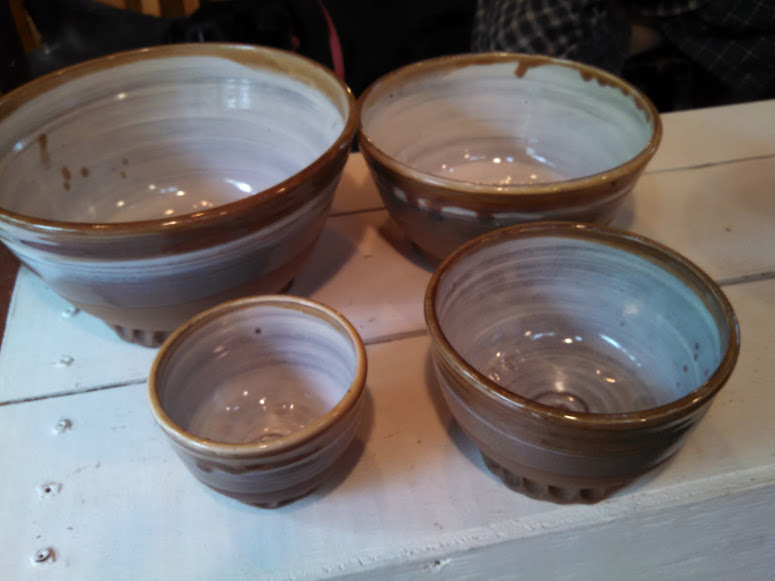 All of our pots are safe for the dishwasher and microwave. 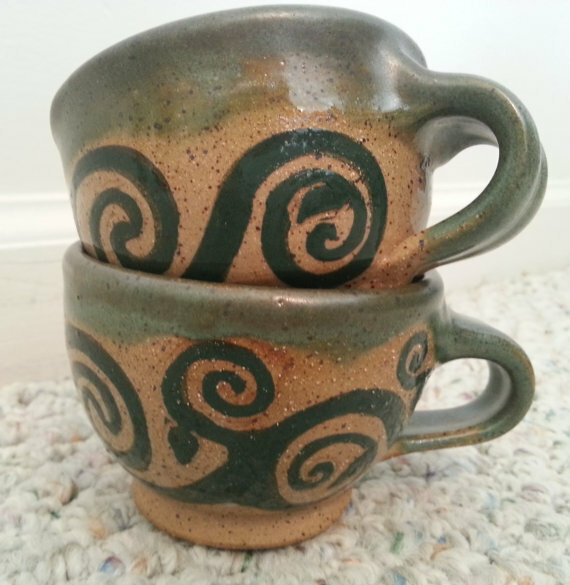 They are practical as well as pretty. 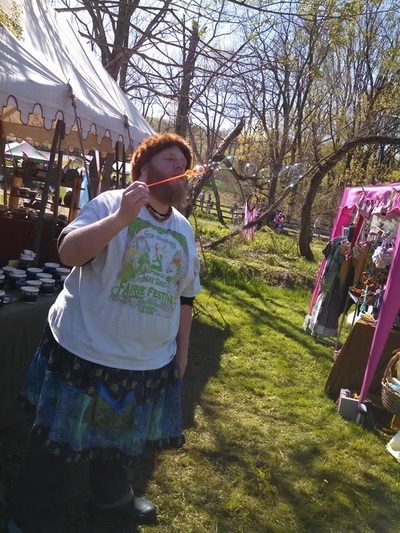 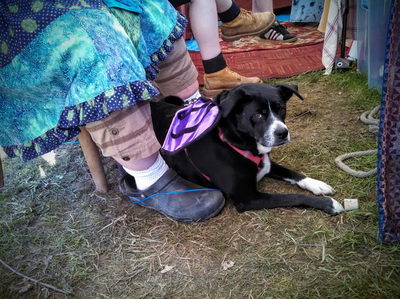 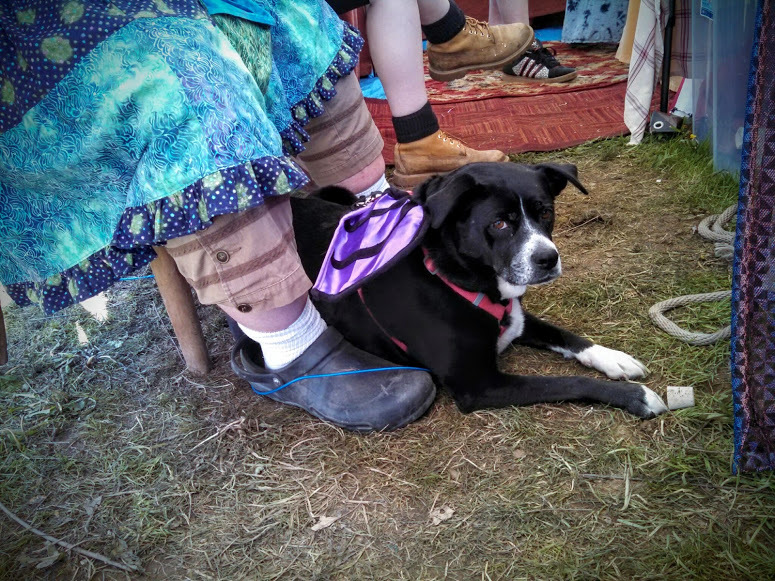 We love Spoutwood Fairie Festival, it is a highlight of our festival year, and our goal is to contribute to the joy and beauty that we always find there. 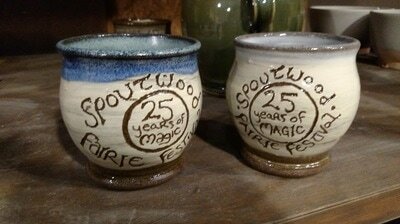 Each year we bring our best pottery, high spirits & plenty of fairie magic, not to mention no small amount of hard work to Spoutwood. 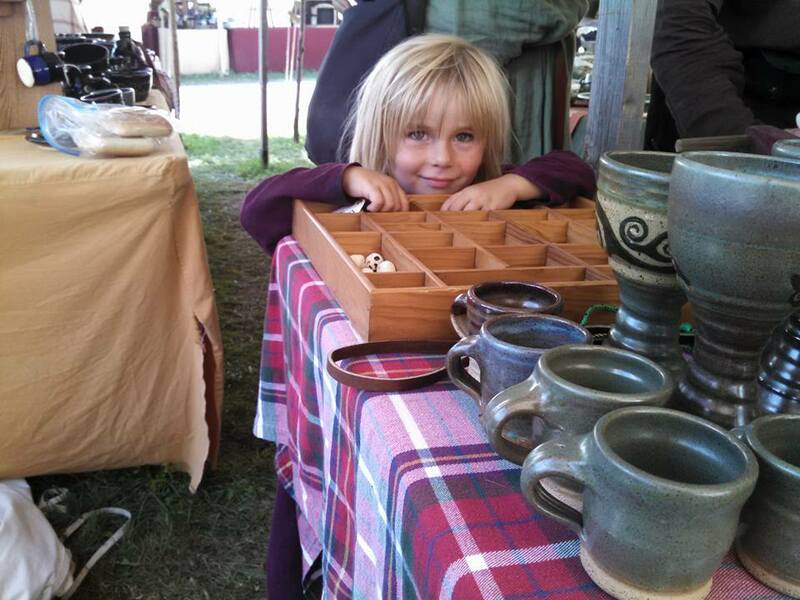 And we leave with much more than mere money. We take home get inspiration and joy, renewal and bliss from being a part of the magic that is Spoutwood.